Searching through the Gospels, we find Jesus Christ addressed as or referred to as “teacher” forty-five times. To the disciples, to the people of Israel, Jesus was a teacher. Teaching was a central aspect of his ministry. For example, upon entering Capernaum, the Gospel of Mark reports that Jesus “entered the synagogue and taught” (Mark 1:21). And apparently Jesus as an exceptional teacher, both in terms of content and popularity. Even when the Gospels do not record the contents of Jesus’s teachings, which is often, His message was powerful and influential. 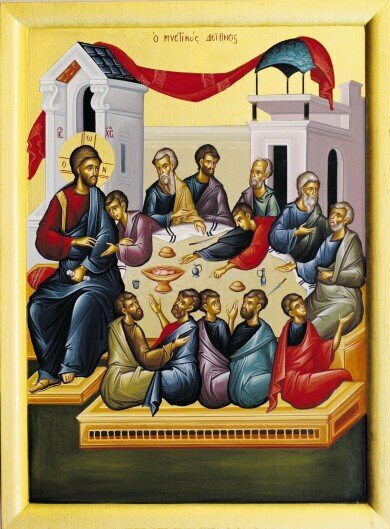 The Gospel of Mark states, “And they were astonished at his teaching, for he taught them as one who had authority, and not as the scribes” (Mark 1:22). This made Jesus an attractive speaker, someone you “had to hear.” Many of the great teachings of Jesus were delivered as lectures to large crowds. The Sermon on the Mount – the Beatitudes – was delivered when Jesus saw a great crowd of people (Matthew 5:1). But this was not the only time a large crowd assembled to hear Jesus. The Gospel of Luke reports that so many people came to hear Jesus at the Lake of Gennesaret that He “taught the people from a boat” (Luke 5:3). He was so popular as a teacher that the crowds would forget about food and drink, so that Jesus had to provide it, by multiplying loaves and fish! At the tomb of Christ, Mary encounters the resurrected Jesus and addresses Him as rabboni, which is Hebrew for “teacher” (John 20:11). But Jesus also confounded His audience as a teacher. His hearers did not understand the messenger, and rejected Him and His message. He didn’t fit the mold of a teacher of His day. We would say that He wasn’t “certified” or hadn’t attended the “right schools.” For example, in the Gospel of Matthew, Jesus teaches in His hometown of Nazareth, and the people ask, “Where did this man get this wisdom…Is not this the carpenter’s son?...And they took offense at him” (Matthew13:53-58). We can teach as Jesus taught. By taking a closer look at Jesus’s teachings, we can begin to discern a distinct “style of teaching” that we can imitate in our own ministry of teaching. Jesus frequently uses metaphors and similes. Remember that metaphors connect and compare two unlike things in a suggestive or open manner, rather than in a direct or closed manner. The best example of a metaphor might be the “I am” statements of Jesus, as found throughout the Gospel of John. For example, Jesus says, “I am the true vine” (John 15:1-9). If this were a “closed” statement, Jesus would be saying that He was a plant, but obviously this is not the case. The metaphor points to the relationship between Jesus and His Father, and Jesus and His disciples. Reading the entire passage, we can see that life comes from the vine and goes to the branches; to be attached to the vine is to have life, to be cut off is to die, and to bear fruit – love – one must remain on the branch through obedience to Jesus’s commands. Jesus also teaches with similes, using “like” or “as” to make a comparison, as in, “The kingdom of heaven is like…” He gives us open invitations to think about how God’s kingdom resembles a marriage feast (Matthew 22:1-14), a mustard seed (Matthew 13:31-32), or a pearl of great value (Matthew 13:44-46). Jesus asks really good questions, and He allows those He asked to arrive at the correct answer themselves. Perhaps the best example is Jesus asking the disciples, “Who do men say that I am?” and then asking them, “Who do you say that I am?” (Matthew 16:13-17). The question is open-ended, and those who knew the answer could reply as did Peter. To gauge how effective this style of questioning was, try changing or reversing the phrasing. What if Jesus had asked, “Do any of you think I am the Messiah?” Was Jesus unsure of Himself, thus sowing doubt among His followers? Was Jesus checking the pulse of the disciples? Where would this have gone if they had said no? So by allowing the disciples, in this case Peter, to figure it out for themselves and proclaim their faith in Jesus, they would be blessed as Peter was – as the rock (petros) of faith. Jesus also answers questions with more questions. In Luke 10:25-37, the young lawyer asks Jesus, “What must I do…?” Jesus responds, “How do you read the Law?” This dynamic creates a situation in which Jesus puts the questioner to divulge what he already knows from the Law and to begin to reflect on it, which the lawyer does, and then asks Jesus, “And who is my neighbor?” Jesus does not answer the question directly, but follows up with His most distinctive teaching device: the parable. Parables make up about one-third of Jesus’s teachings in Matthew, Mark and Luke. The parables are unique to Jesus. The Scriptures do not contain other parables in the same way as Jesus taught them. The parables should be seen as open-ended symbols, extended metaphors or similes. Using examples from nature or daily life, the parables tease the hearer into active thought. Their open-endedness leads to many possibilities. It become impossible, it seems, to draw only one interpretation from a parable. Use metaphors and similes. In a class just after the Super Bowl at Holy Cross School of Theology, I posed the question, “How might the Super Bowl be used in a Christian education class? The conversation went on for more than half an hour and could have gone for much longer. The discussion ranged from athletic activity and spiritual discipline to the extremes of capitalism that the Super Bowl demonstrates. Tell stories, whether parables or stories from history and everyday life. We are born, it seems, to love stories, remember them, and learn from them. This article was originally published in the Spring 2012 edition of PRAXIS magazine, pp. 6-8.